If it isn't completely obvious at this point that the Disneyland measles outbreak is the mainstream media's latest propaganda false-flag attack, then you're not paying attention. Like a calculated military mission, this coordinated attack against personal vaccine choice is deliberately misleading the public into believing that a vaccine will save them, when in fact the vaccine is more dangerous than measles itself. Long before there even was a vaccine for measles, this typically mild disease was seen as a common rite of passage for young children, much like chickenpox still is today. Contrary to what you may be hearing in pop news, it was virtually unheard of in the U.S. for anyone to die from measles, and those who contracted it gained an immune advantage -- after recovering, those who develop natural measles infection never again have to worry about contracting measles because they now have lifelong immunity. It was actually in a child's best interests to contract measles as early as possible, because the disease tends to be much more severe in adults. And again, if you naturally developed measles as a child, you gained lifelong immunity to all forms of the disease. The same cannot be said of those who receive the measles vaccine (administered today as MMR), which only provides temporary and incomplete immunity. None of this is being reported by the mainstream media, of course, which is pushing everyone, both child and adult, to rush out and get an MMR shot, including boosters if necessary, based on the false notion that the vaccine provides complete protection. 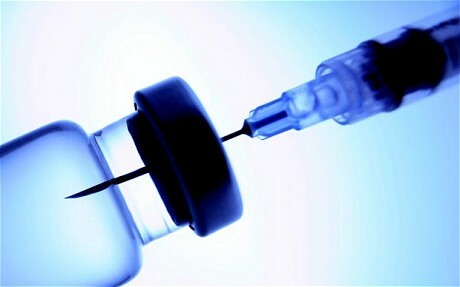 There are no warnings about the jab eliminating any chance for those vaccinated to develop lifelong immunity, or that the jab itself can spread measles and trigger outbreaks. But without the vaccine, people would be dying left and right from measles, right? Not exactly. This popular myth has been proven false by published data showing that measles-related deaths were in major decline long before measles vaccines were introduced. "By the late 1950s, even before the introduction of measles vaccine, measles-related deaths and case fatality rates in the United States had decreased markedly, presumably as a result of improvement in health care and nutrition," explains one peer-reviewed study published in The Journal of Infectious Disease. But what about disease outbreaks? Doesn't having the vast majority of people vaccinated reduce the number of infections overall, providing a greater level of protection compared to having no vaccine? Again, the fact that measles vaccines only provide temporary and incomplete protection makes getting them far riskier than not getting them. This is further complicated by the fact that the vaccine itself contains live virus and has been documented both causing and spreading measles. The jab is also associated with triggering serious adverse reactions such as seizures, brain inflammation, encephalopathy, thrombocytopenia, nerve pain, gastrointestinal disorders and much more. As of March 1, 2012, nearly 900 claims have been filed in the federal Vaccine Injury Compensation Program (VICP) for injuries and deaths associated with MMR vaccination. Meanwhile, there have been zero reported deaths from natural measles infection for more than a decade. "In the pre-vaccine era, when the natural measles virus infected the entire population, measles -- 'typically a benign childhood disease,' as Clinical Pediatrics described it -- was welcomed for providing lifetime immunity, thus avoiding dangerous adult infections," wrote Lawrence Solomon for the Financial Post about the issue. "In today's vaccine era, adults have accounted for one quarter to one half of measles cases; most of them involve pneumonia, one-quarter of them hospitalization."